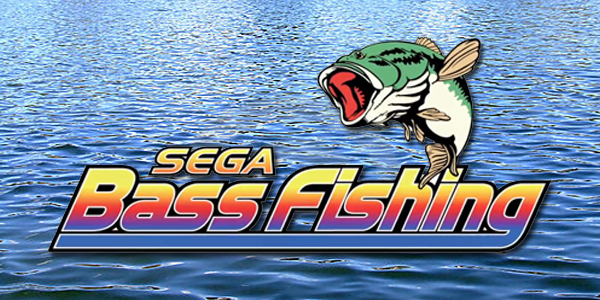 Sega Bass Fishing was developed and published by Sega. It was released October 5, 2011 and retails for 800 MSP. 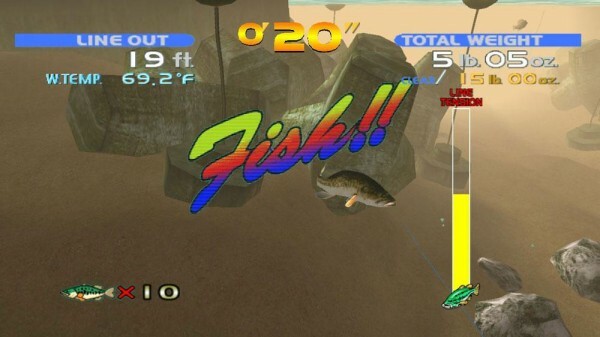 Sega Bass Fishing was originally an arcade game that was then brought over to the Dreamcast. What we get now on XBLA is an almost exact replica of the Dreamcast version sans the fishing controller. Sega Bass Fishing is an arcade style fishing game. It mixes serious fishing technique and approaches with arcade style speed and action. Far from being a simulation (10 to 20 pound largemouth bass are commonplace here) it still manages to feel like authentic fishing. This old-school game is sure to be a favorite amongst old fans but still has the goods to entertain a new audience. Graphics still hold up – It is a true testament to the power that the Dreamcast had and the skill of the artists that this game still looks as good as it does. 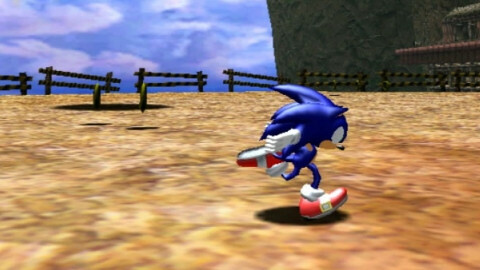 The Dreamcast isn’t that far removed from the original PlayStation so these are arguably first generation 3D graphics. 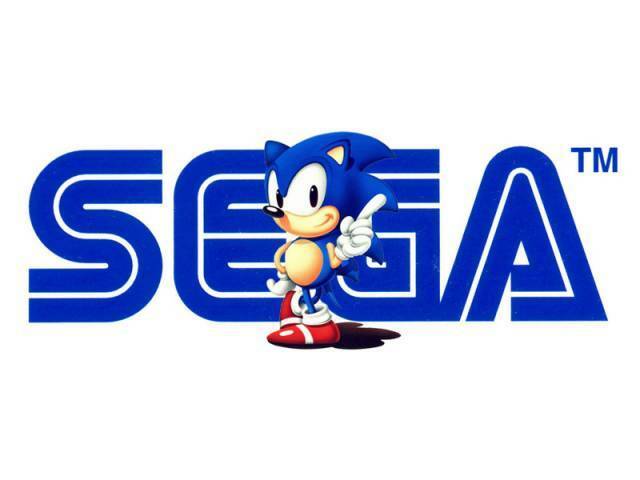 They are bright and vibrant and that is what Sega does so well. They make the whole package look so inviting it is easy to forget about the flaws. Arcade gameplay – This game was originally designed to be played in an arcade. To ensure it made as much money as possible a rather strict timer was put in place. One credit equals two minutes of play. You had better catch your fish fast! This idea has been carried over to the tournament mode. Now you are given three sets of two minute outings per stage of the tournament. After each set the time of day and perhaps weather will change. This time limit feels very restricting and annoying at first. But, eventually we realized that the timer really adds to the tension and strategy of the game. If there is only 30 seconds left you can go for broke and try to catch the biggest fish out there. Or make a more tempered decision and go for a small one to pad your total pounds caught just a little bit. There were several occasions where we were seconds from landing a trophy fish only to have time expire. It all depends on your situation and your style of play which decision you will make. The time rolls off fast and you have to make every second count. Play style freedom – There is a wide variety of lures to choose from. Some are totally dynamite in certain situations while others may not be as effective. But the beauty is that you are free to experiment and find what works best for you. Some might prefer to drag a plastic worm through some stumps while others are more inclined to use a crank bait or even a top water lure. A fair amount of actual bass fishing knowledge will go a long way towards helping you in this game. But those without such experience don’t need to be shy. Variety of fishing holes – There are seven different fishing areas in total. They are all beautiful to look at which is nice. More importantly each area requires its own strategy to be successful. Some are shallow while others are deep. Some have docks while others have bridges. Practice is the ultimate key to success along with learning where the bass tend to congregate. Ugly menus and load screens – This is a direct port of a game over 10 years old. Some leeway must be given in the graphical department. But the menu and loading screens are downright ugly. We might have said that they are showing their age but in truth they didn’t look good ten years ago either. It’s a shame they didn’t clean these up a little but it doesn’t detract from the experience. Initially too difficult – Once you get on a role you will be hauling in massive bass left and right. But initially it’s a bit of a mystery how to get them to strike. This leads to blank sets where you catch nothing and two minutes feels like an eternity. Once you get over the hump things really pick up but it is rare that a game’s most difficult moments are its first moments. 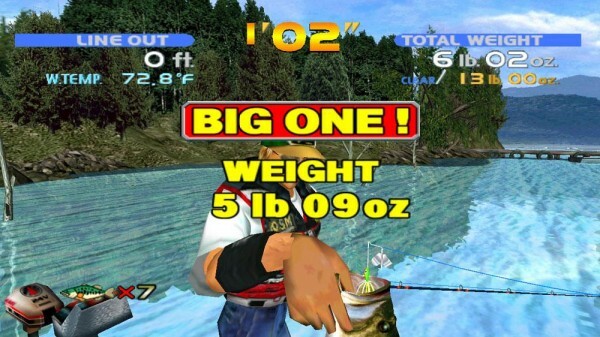 Insufficient instruction – Sega Bass Fishing assumes the user has a certain amount of bash fishing knowledge. That knowledge transfers nicely to the game. Even so a bit more instruction on how to actually control the lures would have been extremely helpful. Also, there are a few cryptic hints as to which lures might be effective in certain situations. More information would have been very much appreciated. Strange pricing – 800 MSP is not an unreasonable price for this game. But, it is already available on the Dreamcast Collection for a bit over $15 USD. That’s Sega Bass Fishing plus three other games for a 50% increase in price. This pricing scheme is nothing new for Sega and it makes no sense at all. 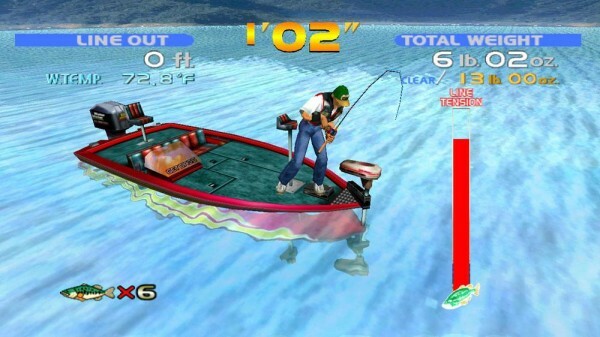 Sega Bass Fishing has always been a special game. It was a title that practically launched the Dreamcast. Think about that for a second, a fishing game was a major factor in the Dreamcast’s early success. It is special because it mixes two completely disparate ideas: fishing and arcade gameplay. Fishing is slow but arcade is fast. Yet they did it in a way that makes sense and is a joy to play. None of that has changed; it is still a joy to play. It looks a bit less glossy than it used to but that has not dampened the game play one bit. For fans of the series this is an easy sell. Fishing game fans should also jump in because frankly there is nothing else on offer on XBLA. For everyone else we urge you to try this gem. The average Call of Duty fan might not want to go fishing. But those looking for something off the beaten path will not be disappointed.